You can order anytime! We take orders until the 25th of every month for the next month’s boxes. Your box will then ship during the first week of the following month. It can take 10 – 20 days for your box to arrive at your door, depending on your location. For example, in order to get our June Kizuna Box, you should order before or on May 25. We will send out your June box during the first week of June. If you place your order after or on May 26, you’ll get the July box that is estimated to arrive in the second half of July. Currently we only accept payments via PayPal. Do you have a gift option? Yes, we do! 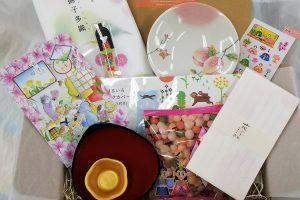 You can give Kizuna Boxes as gifts to your friends and family. Just make sure you hit the right button for the Gift Option. As this is not a subscription plan, it does not renew automatically. Can I buy a Kizuna Box without subscribing? Of course you can do so! If you’re still thinking about whether to subscribe or not, buying a one-time box might be a good option to see if you like the experience we provide. However, we do not have a separate button for this option, so please select the Gift Option button and complete your checkout. Can I buy past boxes? Yes, if the past boxes are still available. Since Kizuna Boxes are only available in limited numbers, we can’t promise that you can buy every past box anytime. You can find available past boxes on our Japanese EC store alongside with some specific items in previous boxes. Please note that individual items are sold at their retail prices. So you have an EC store too? Yes, we do! 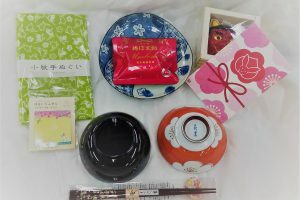 Enjoy shopping for your favorite Japanese products here https://shop.re-discoveryjapan.net/ ! 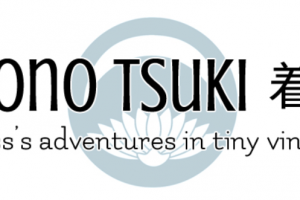 Can I combine my store orders with Kizuna Box’s shipments? Unfortunately, this is not possible. Kizuna Box’s shipments will be sent separately and cannot be combined with orders from the store. Can you give me a tracking number? Yes. we can. Tracking information is included in the shipping fee. We’ll send out tracking numbers to every subscriber within one week after finishing monthly shipments. We use Japan Post’s international shipping service which is highly reliable. 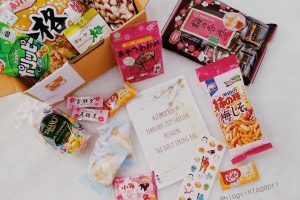 I have food allergies but would love to try Kizuna Snack Box. What is your suggestion? We would like to suggest that you consider carefully and take responsibility for and caution in your decision. We do include common allergens for each snack in our pamphlet inside every box. So if you want to give it a try, make sure that you avoid items that might be dangerous for you. However, you are advised not to subscribe to Kizuna Snack Box altogether if you have multiple allergies. It’d be a waste if you receive a box but cannot enjoy it. And hey, we also offer Kizuna Lifestyle Box! While it might be difficult for you to explore Japanese snacks, you are totally welcome to unveil Japan’s elegant lifestyle and unique culture. 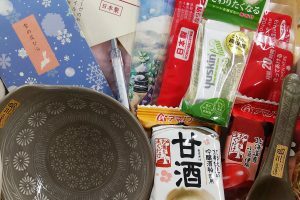 There are often some snack and beverage items in our Kizuna Lifestyle Box, but the box mostly comprises non-food products so you won’t be missing out the fun! Can I get a free box to review and promote on my website? Yes, we are happy to collaborate! However, as it is not possible for us to accept every offer, please kindly send us your website address alongside with necessary information and metrics for us to decide if you’re the right partner we’re looking for. Yes, of course you can. And you can do so anytime. Let’s go back to the example when you place your first order on May 10 and are billed every month on the 10th of the month for your Kizuna Box. You have received your June Box and July Box but do not want to receive the August box, then you have to cancel your subscription before July 10, otherwise you’ll be charged for another term. I don’t want to cancel my subscription but to make some changes to it, like skip one or some boxes or change my plan. Unfortunately, currently that’s not a possible option yet. If you want to skip one or some boxes, please cancel your subscription and start again when you want your Kizuna Box to arrive again. Similarly, if you want to change your monthly plan to prepaid multi-month plans, please cancel and subscribe again for the different plan. We’re sorry for any inconvenience this may cause you. As we have just started out, we’re still working on improving our technical features. I’m not happy with my box. Can I return it? We’re so sorry to hear that you are not satisfied with the box! Yet, we are afraid to let you know that we do not accept returns. Also, we will not offer refunds/any compensation unless the items inside the box are damaged and the fault is on us. We take great care with our packing as well as selection to make our customers happy. If you think we need to improve our service, please kindly let us know anytime! I cannot fill in the correct billing and shipping information. What should I do? Upon checking out, if you are not able to fill in the correct billing and shipping information on our website, please go back to the page where you can see the content of your shopping cart, and choose PayPal Check out (the orange button) instead of Proceed to Checkout (the pink button). You will then be taken to the PayPal site, please complete your checkout there. Customs tax: is of buyer’s responsibility. We are not liable for any extra costs you may be required to pay. For additional information, please contact your local customs office. Missing or lost items: We are not responsible for any items or shipments that have gone missing during transit. Returned boxes due to incorrect address: Shipments that have been returned to us, may be re-sent. We will, however, not be responsible for the extra shipping charges needed for the item(s) to be re-sent. Still have questions? Feel free to drop us a message anytime at discovery@linksolution.co.jp!